The Patient Protection and Affordable Care Act ---- a.k.a. 'Obamacare' ---- remains unpopular with many Americans. Richard Kirsch, a Rockefeller Institute fellow and author of the newly released book Fighting For Our Health, writes in a new commentary that there are several reasons for Americans' dislike of the law, but those reasons have little to do with the law's value. Chief among them is the fact that key provisions don't go into effect for another two years, leaving many people with the idea that the act has achieved little. The challenge for the law's supporters, Kirsch says, is to convince people that help really is on the way. To read Kirsch's commentary, visit the Institute's Web site. Viewpoint: Is Manufacturing Dead in America? The U.S. is still the leading manufacturing nation on earth and the percent of GDP that manufacturing occupies has remained about the same for the past 30 years. The Office of Advocacy’s Small Business Profiles for the States and Territories supply data on small businesses in each of the 50 states and the District of Columbia. The publication also provides national-level data and limited data on the U.S. territories. The usefulness of the publication is the great detail it provides about small businesses at the state level. The following topics are covered: the number of firms, demographics of business ownership, small business income, banking, business turnover, industry composition, and employment gains and losses by size of business. The Provider Manual to the New York Medicaid Program offers a wealth of information about Medicaid, as well as specific instructions on how to submit a claim for rendered services. "Each year, schools, school groups, PTAs, PTOs, youth sports leagues and other non-profit organizations raise nearly $2 billion by selling merchandise to the public (product fundraising). The information on this site was provided by the state revenue departments through a survey distributed by the Multistate Tax Commission.... States are asked periodically to review this information for accuracy. The site reflects updated information as provided by individual states. This site contains information from only those states that affirmatively indicated in the survey that the state agrees "to authorize the Multistate Tax Commission to disseminate any and all of the responses provided in this survey to the Association of Fund-Raising Distributors & Suppliers (AFRDS) and to the general public." "Power is the ability to get things done. You could say that management is the art of ensuring that things get done. Yet what's so striking about most organizations is that so little management is effective. "That's what academics Heike Bruch and the late Sumantra Ghoshal discovered when they investigated what they called 'decisive purposeful action.' Most companies, far from being hives of busy, effective executives, could instead be seen as "a few isolated islands of action amid an ocean of inaction," the researchers found. Does this ring any bells? It certainly reminded me of many places I've worked -- and run -- where a small number of people always seemed to be doing the majority of work that mattered." Audio podcasts are a great (and free!) way for local business owners to further their own education. Carmen Sognonvi shares the 3 best business podcasts that every local business owner should be listening to. WASHINGTON – The U.S. Small Business Administration’s national network of Small Business Development Centers (SBDCs) plays an essential role in the economic development of their states and local communities through their direct, face-to-face counseling for small businesses, according to a report released by the SBA. The report, produced by the National Small Business Development Center Advisory Board, focuses on SBDCs’ impact on small business access to SBA’s programs and services, including access to SBA capital, procurement, disaster and international trade programs. “SBA’s Small Business Development Centers give new and growing small businesses the resources they need throughout the year to grow and create jobs,” said SBA Administrator Karen Mills. “The soundness of our economy depends on stable small businesses across the country and SBDCs are front and center helping entrepreneurs start, grow and expand their companies. The report confirms that SBA’s SBDC program remains an essential part of the agency’s mission to help small businesses. The report, The SBDC Program: An Indispensable Partner in America’s Economic Development, demonstrates statistically the prolonged impact that SBA-funded SBDCs have on the formation and growth of small businesses. The report can be viewed online [PDF]. The report found that the 900 SBDC service locations provide a necessary local footprint in the communities they serve, delivering unique offerings tailored to the needs of its small business community. 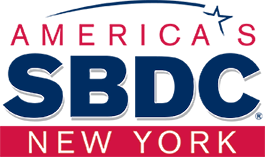 The report also found that the SBDC program, for which the federal government covers half the cost, remains one of the government’s best investments because of its close associations with other SBA resource partners, federal, state and local government small business assistance programs and service providers; universities and community colleges; and private enterprise and local nonprofit economic development organizations. The nine-member independent advisory board provides advice and counsel to the SBA Administrator and associate administrator for the Office of Small Business Development Centers on the SBDC program. Last year, more than 557,000 entrepreneurs received business advice and technical assistance through the SBDC program. In its more than 30-year history, SBDCs have assisted millions of small business owners and entrepreneurs to successfully start and grow small firms by fostering entrepreneurship and growth through innovation and efficiency. On January 18th, 2012 the internet, or a good chunk of it, including Wikipedia, is going on strike to stop the web censorship bills in Congress. Mashable is a great web site for all things "social media". It is a one stop locale to find out what's trending in various sites, such as Facebook and Twitter. Some great infographics and videos re: technology, business, entertainment and more. President Barack Obama is expected to announce Friday that he will exercise his executive authority to elevate the head of the U.S. Small Business Administration to a cabinet-level position, according to two senior administration officials. The announcement will come along with a broader proposal from Mr. Obama to combine the Small Business Administration with five other government offices that would become a single, streamlined agency. It was unclear if the SBA would retain cabinet-level status if the consolidation went through. "Small Business Development Centers (SBDCs) are partnerships between the government and colleges/universities administered by the Small Business Administration and aims at giving educational services for small business owners and aspiring entrepreneurs." If you are a business owner and you have not worked with the SBDC in the past, then 2012 is your year. There are 5 key reasons that you need to develop a relationship with your local SBDC. Although the June 2011 report published by the McKinsey Global Institute states that the recession has caused a decline of seven million U.S. jobs since December of 2007 as well as a drop of 23% in the rate of new business formulation we face a shortage of qualified workers. Quoting the McKinsey report, “In our survey 64% of companies reported having positions for which they often cannot find qualified applicants, with management, scientist and computer engineers topping the list.” More than ever, the skills of job seekers don’t fit the demands of job openings. What Did We Learn From 2011’s Natural Disasters? WASHINGTON – Natural disasters exacted a significant financial toll on the United States in 2011. The Insurance Information Institute reports that insured losses from a series of disasters – which included devastating spring tornadoes in the Midwest, floods in the southeast, wildfires in the southwest, and Hurricane Irene – totaled $35.9 billion. Small businesses were hit particularly hard as many were forced to close during these disasters, causing economic injury to many that were already struggling. The factors that cause financial losses after a disaster, however, can be offset by having a recovery plan in place. On Tuesday, January 17, Agility Recovery Solutions and the U.S. Small Business Administration will host a free webinar that looks at how natural disasters in 2011 caused business interruptions, with a focus on business continuity lessons learned. Agility President and CEO Bob Boyd will also discuss new trends and technology that affect disaster preparedness. The webinar will also offer practical strategies to protect your company closing its doors for good after a disaster. SBA has partnered with Agility to offer business continuity strategies via its “PrepareMyBusiness” website. Visit www.preparemybusiness.org to access past webinars and get additional preparedness tips. The SBA provides disaster recovery assistance in the form of low-interest loans to homeowners, renters, private nonprofits and businesses of all sizes. To learn more, visit www.sba.gov/disaster. WHAT: “2011 Year in Review—Disaster Recovery Lessons Learned” will be presented by Boyd. A question and answer session will follow. HOW: Space is limited. Register at https://www1.gotomeeting.com/register/180067536. "Coffee Break with Game-Changers" with Bonnie D. Graham. Don't miss this episode with ASBDC President Tee Rowe and others for some high-energy, interesting and, most important of all, informative content. I was talking with a small business owner recently who was lamenting not updating his website and also that his competition was showing up “all over the place” online. The nature of his product requires some education and an effort to dispel common misperceptions. The rapid advancements in technology of his particular product category are not very well known amongst his target consumer market. But there’s a substantial amount of search volume and interest in the solutions his product provides. He’s also a small business with limited time and budget. Governor Andrew M. Cuomo delivered his second State of the State address on Wednesday, continuing his commitment to make government work for the people again. *Create tens of thousands of new jobs across the state by investing state resources to leverage billions of dollars in private investment through public-private sector partnerships that drive economic growth. *Reimagining the state government to ensure it gets results for the people while protecting taxpayer dollars. *Strengthen New York’s legacy as the progressive capital of the nation. Click here for the State of the State press release, and click here to watch video of the event. "New York State is on the way to coming back stronger than ever before," Governor Cuomo told the crowd of New Yorkers and legislators at the Empire State Plaza Convention Center. "Now is the time to get to work, building a New New York together." Join Governor Cuomo in building a New New York in 2012. Though many people tout cloud computing as the next big thing, the idea is almost as old as the computer itself. The concept was born in the 1960s from the ideas of pioneers like J.C.R. Licklider (instrumental in the development of ARPANET) envisioning computation in the form of a global network and John McCarthy (who coined the term “artificial intelligence”) framing computation as a public utility. Some of the first uses included the processing of financial transactions and census data. I've found www.importexporthelp.com to be quite useful for questions involving identifying companies from which to import. If you go to this page, click on the Download eZines item in the gray box to the upper right; Download your free e-magazines from Global Resources. GR has been around for 40 years and, I am told, does not allow ads from entities with negative feedback. Also check out this page, especially items 2 and 3, for other resources to check.